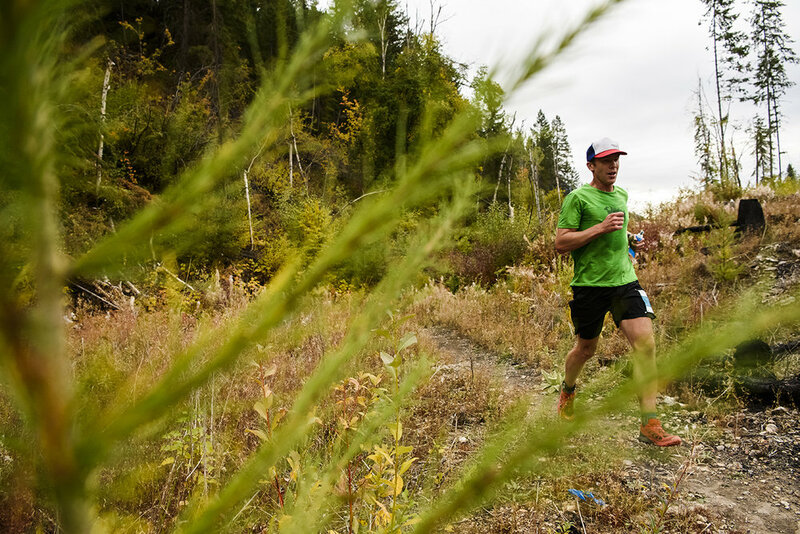 "The Tears" is the third and final stage of the Golden Ultra. This is a beautiful, rolling 23 km jaunt on the northern slopes of the Columbia River valley. The first and last 2.5 km of the course is on the double-wide, gravel-surfaced town trail, so you can bask in the glory of cheering spectators. The remaining running is on some technical single track. Note: course has changed every year for a variety of reasons.